Prime Minister Lee Hsien Loong pointed out on his National Day speech last August 8 that Singapore will be on the verge of becoming a developed country as the nation’s economy and society matures in the coming years. Lee pointed out different sectors in the society, such as the elderly, the youth and the professionals, will be benefiting on the government’s move towards a “new Singapore.” He said that they will review the country’s growth and direction, reconsider its economic position, and somehow replenish all government efforts towards national development. Lee also mentioned in his message strategies on how they handle healthcare issues, education struggles, living costs, transport system difficulties, and continuous population growth. These strategies include the government’s effort on maintaining more affordable residences for Singaporeans through Built-To-Order (BTO) flats campaign, healthcare benefits, and broader education opportunities. As well as providing extra lines of buses and free MRT rides every morning around the city. 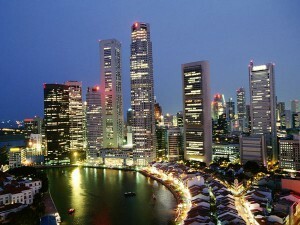 PM Lee also cited the possible economic growth within the year. He disclosed that Singapore’s economy might boom between 2.5 to 3.5 per cent, higher that the previously expected development in the stocks. He also recognized the aid given by “Our Singapore Conversation” on forming programs and projects leaning towards what the Singaporeans aspire for the nation after 20 years. He assured that the government will see to it that these hopes and desires from his people won’t be neglected. Lee concluded his National Day note by reminding his people that these positive changes won’t be possible unless they are united, and not apart because of age, race, social status, and political beliefs.